But then the window frame rattles and my heart explodes, piercing the expanding bubble that has contained my tears. The noise of Kyle’s engine doesn’t disappear into the distance straight away; instead, it reverberates through the room for longer than it should. I still have time to dash to the door and call him back. I implore myself, but I’m rooted to the spot, too fragile to risk further shattering my heart. It’s only when the roar of the engine begins to fade that I crumple in a ball. I draw my knees up to my chin, struggling to dull the searing agony in my chest as the unhappiness, which has been building over the last few months, finally spills free. I give way as the barriers I protected myself with before Kyle and I met won’t rebuild fast enough. My flimsy protection comes crashing down, and I howl in a voice that is not mine because he took me at my word and left when all I wanted was for him to tell me I was wrong and hold me. 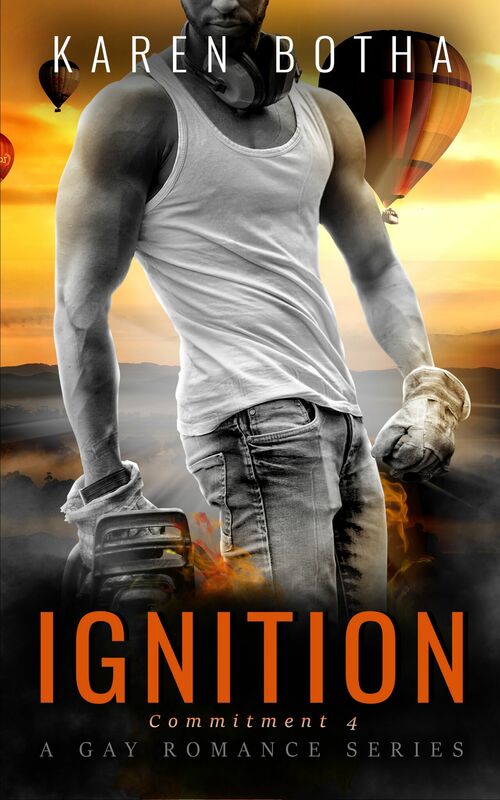 The first in the new lgbt series is a mm romance novel about a racecar driver and his mechanic. One lucky winner will receive a $25 Amazon gift card!